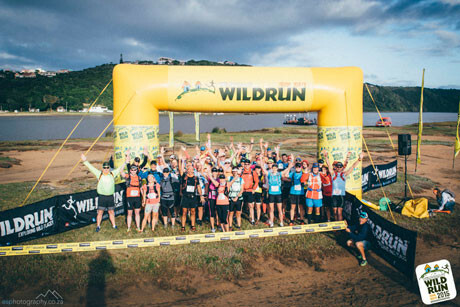 A three-day trail run for a limited number of people, the Wild Coast Wild Run is regarded by those who run it as so much more than ‘just’ a trail run. 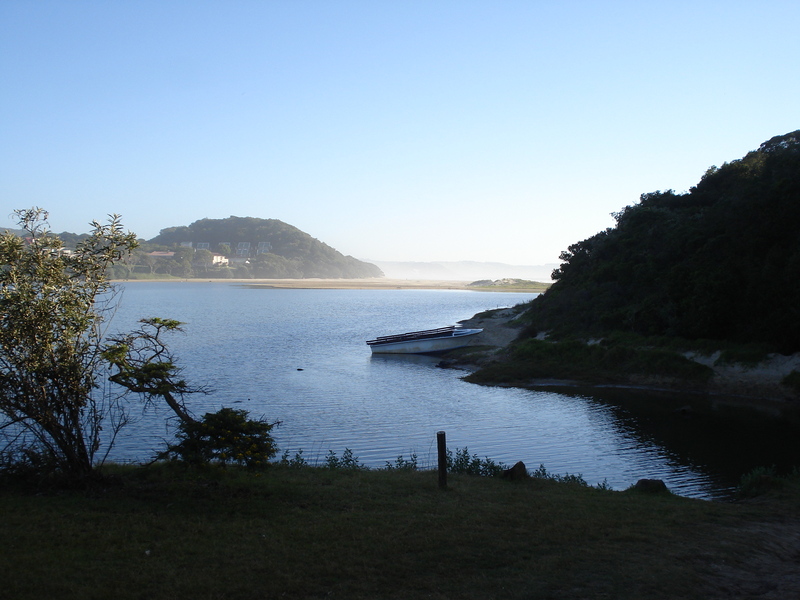 The event has been running since 2009 and explores the isolated beauty of the Transkei beaches, its green rolling hills, and the friendly nature of the locals. It’s marketed as a three-day boutique running holiday in the midst of unfenced coastal paradise. Summerstrand is a popular suburb on the beachfront of Port Elizabeth in Nelson Mandela Bay. It was once an elite neighbourhood, home only to the affluent of the Friendly City. Now, however, it is the address of a melting pot of people from all over the world; particularly students, being located so close to the Nelson Mandela Municipality University (NMMU). At any given time, the suburb is abuzz with the local and international young and trendy. The homes of Summerstrand are unique. Many of them have earned ‘mansion’ status, and their architecture is made all the more unique by their designers’ aiming to make the most of the views of the beach. Glass, Perspex and windows that occupy almost every possible angle characterise these houses, many of which have been converted into guesthouses and Bed & Breakfast establishments. The beaches will certainly lure just about any tourist, as it does the locals. 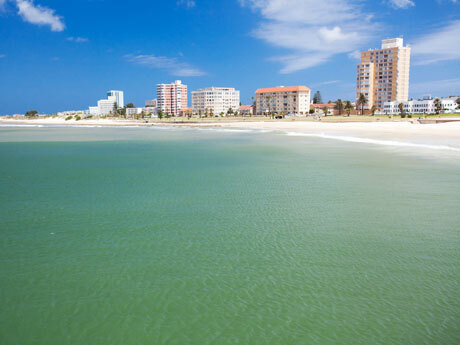 Beaches within the suburb include Pollock Beach and Hobie Beach, which are both extremely popular. The Indian Ocean waters are far warmer than those of the Atlantic Ocean, making the swimming conditions in Port Elizabeth ideal, even when the weather begins to cool down for autumn. Surfers love the varied surfing conditions of these beaches, as they are suitable for pros and novices alike. Summerstrand is also known for being the home of the Boardwalk Casino and Entertainment Centre. This complex boasts a huge variety of restaurants, ranging from family hotspots (like Wimpy, Steers, Dulcé Café and The Spur) to more formal options (like Squires). There is an African market that sells a range of mementoes, clothing, shoes, accessories, and goods for the home. There are also adventure shops, boutiques, jewellers and more at The Boardwalk. The casino is sizeable and provides the full range of tables and machines for the dedicated gambler or those just wanting to have a little fun. It is tastefully decorated, reflecting the glitz and glamour of a Vegas hotspot without negotiating on class and style. The bowling alley remains a firm favourite of the Boardwalk, as do the pool tables right next door. The Summerstrand Village Shopping Centre is a small, but inclusive, mall that is conveniently situated for locals and visitors alike. Banks, a Pick ‘n Pay, post office, chemist, coffee shop, restaurant, take-away outlets, boutiques and more all ensure that this is a one-stop-shop for those in the area. Hobie Beach is not only popular for its idyllic water and white sand. There is also a grassy picnic spot, rock pools in which little ones can play more safely, and a complex of restaurants, bars and an ice cream shop. Whether you are looking for a tasty treat from KFC, a reasonably priced meal from Angelo’s or a more sophisticated meal at Blue Waters Café, all of these options promise gorgeous views of the sea as well as of Shark Rock Pier, which takes one right into the ocean for magnificent views. Barney’s is a popular bar, with a deck overlooking the ocean and a laid-back atmosphere. The famous Cape Recife Lighthouse is right on the outskirts of Summerstrand. This lighthouse is over 130 years old and is part of a larger reserve. The walk through the reserve is simply beautiful. Look out for bottlenose dolphins (especially in the morning and late afternoon) as well as whales during the period of July to December. 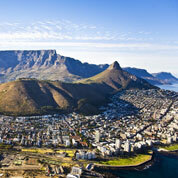 Port Elizabeth is the main city of Nelson Mandela Bay and the Eastern Cape. It is a coastal town that is also known as the Friendly City and, when visitors have been here and met the locals, there is no confusion as to why it has earned this name. 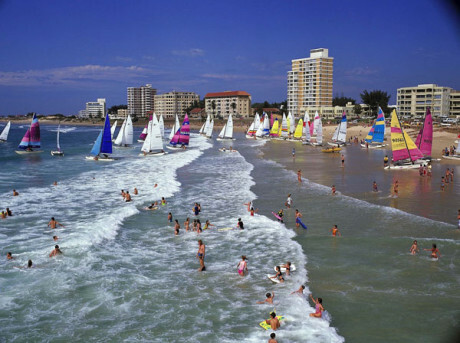 Although Port Elizabeth has always been one of the quieter cities of South Africa, it continues to grow as a very popular tourist destination, particularly over the summer holidays when the hotels in Port Elizabeth are filled to capacity and its spectacular beaches are littered with bronzed bodies and families playing on the white sand. 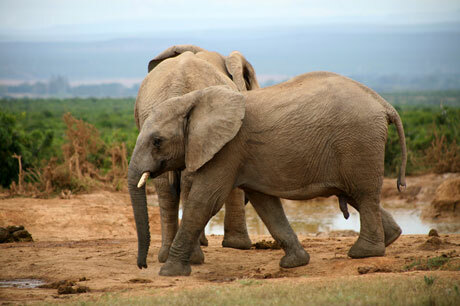 Another of Port Elizabeth’s main tourist attractions is the wildlife to which it and its surrounds are home. There are a number of game reserves and parks in and around Nelson Mandela Bay that continue to welcome tourists from all over the world. 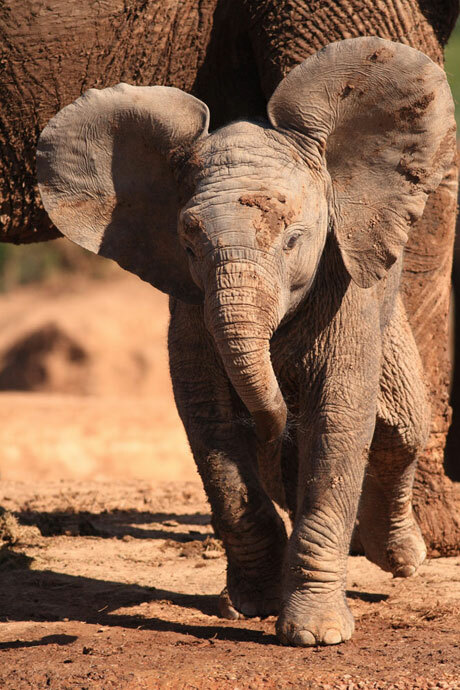 In these, animals like elephants, lions, leopards, giraffes and zebras are commonly found. This entire region is malaria free, making it ideal for families with little ones. The Sukume Museum and Xhosa Culture Centre is an unassuming little treasure nestled behind the massive Walmer Township of Port Elizabeth. It may be small and basic, but that does not mean that what is inside is not fascinating and fun for young and old alike. In fact, the humble exterior belies the intriguing experience beyond the doors. Hogsback is a tiny village in the mountains of the Eastern Cape, known for its distinctive magical quality. In fact, many restaurants, guesthouses providing accommodation in Hogsback and homes are littered with artwork of fairies, dragons and other mystical creatures, giving the entire area a somewhat ethereal quality. 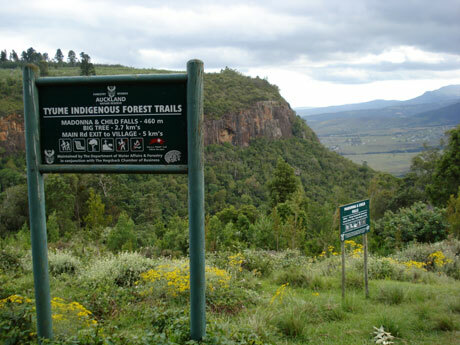 Set amongst the mountains, forests and deep valleys of the inland, Hogsback offers spectacular views at just about every turn. These are best enjoyed on walks and hikes through the surrounding countryside. Breathe in the fresh, crisp air and cool down in one of the mountain streams or waterfalls, while immersing yourself in the unspoilt tranquillity and beauty of this scenic escape. The Eastern Cape Province of South Africa boasts some of the most beautiful natural attractions in the country, thanks to its maintaining a relatively unspoilt characteristic. These include magnificent stretches of coastline and safe swimming beaches. The landscape showcases mountains, valleys, forests and plains, all of which are home to a unique combination of fauna and flora. Port Elizabeth is fast becoming one of the best cycling cities in the country, with a number of fabulous trails in and around the major urban areas of the Friendly City. 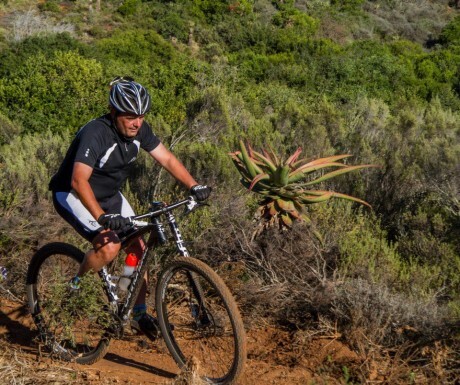 Due to the varied terrain, these trails present a combination of hills, steep ravines, rocky sections and easy-riding stretches that show off the stunning landscape and Eastern Cape vegetation. This province is also known for its temperate weather conditions; with hot, dry summers and cool, wet winters. Wolwefontein is a village in the Eastern Cape that has retained much of its old-fashioned charm. It is situated along the R75, on the border of the scrubby Karoo. It is between Uitenhage (in Nelson Mandela Bay) and Jansenville.